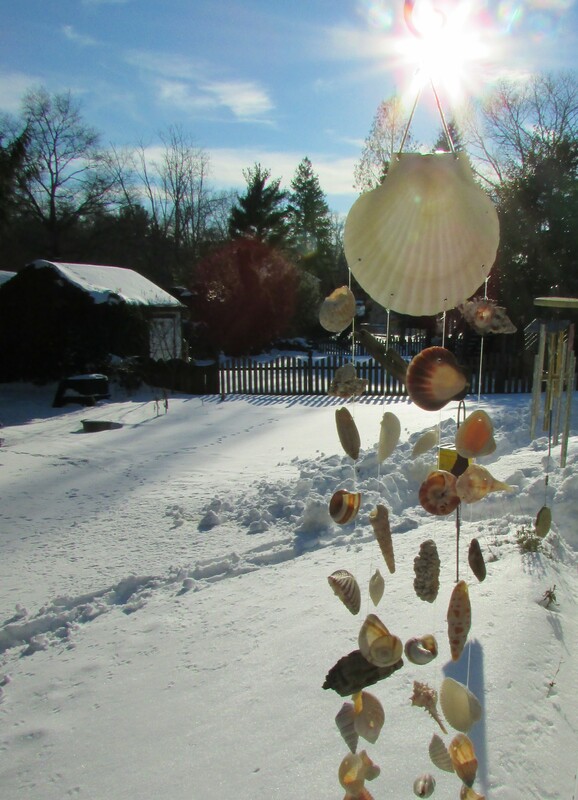 Winter, Spring, Summer and Fall…I dream of seashells and sunshine. A “little bit” of snow can’t diminish my Optimistic Attitude! I also feel my spirit lift when I glimpse the beautiful “Cerulean” Sky. Thanks, right time, right place…had my camera and leaned against the porch. was just going to say the same thing! Do you take walks still ?I think your Winter Wonderland photos are marvellous and capture the theme appropriately. Don’t you think Christmas should be postponed to late January- so there can be true White Christmases ? You know Susie, I never thought of Christmas in January…yes…definitely more of a chance of having a White Christmas. We took a walk yesterday to the mailbox and it was lovely! The sun was warm, bluest of blue skies overhead, and the snow is not too dirty yet and very beautiful. We might get more snow later this week…or possibly rain. Walk to your house mailbox ? We receive mail at our house, but to send it we walk up to the larger public mailbox that is situated near the entrance to our street. It’s a nice walk…short…but a quick stroll around the block always feels good. Thanks so much…I love my backyard! Thanks so much…a sweet cousin created it for me so it is doubly special to me. 😀 I love the tropics…love the look of the snow, but it is hard to get out and about when so much comes down.